The BBC Sport presenter has been referred to as a ‘dyke on a bike’ by AA Gill in a Sunday Times review. 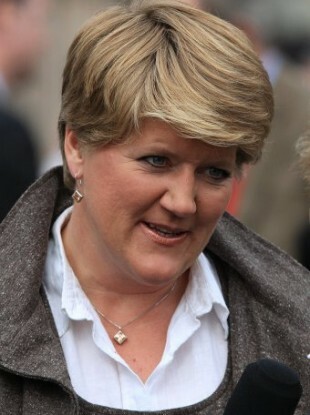 BBC SPORT television presenter Clare Balding has had her compliant over a Sunday newspaper article which referred to her as a “dyke on a bike” upheld by the UK’s Press Complaints Commission (PCC). The comments had been made in a column by famously acerbic TV critic AA Gill in the Sunday Times as he was receiving a new show hosted by Balding, ‘The Cotswalds‘, which retraced a cycling tour taken by author Harold Briercliffe. The newspaper argued that the word “dyke” had been reclaimed as an empowering badge of honour by the LGBT community. Now back to the dyke on a bike, puffing up the nooks and crannies at the bottom end of the nation. Defending the case, the paper referred to two groups – an American motorcycle movement and a British cycling association, both called ‘Dykes on Bikes’, and argued that a person’s sexual orientation should not be immune from reference. The gay community need to stop regarding themselves as having a special victim status and behave like any other sensible group that is accepted by society. The PCC, however, found that the word was used as a “pejorative synonym” and “in a demeaning and gratuitous way”. Balding said she was not looking for special treatment, and simply wanted to be treated equally. She has said she is “delighted” with the PCC’s ruling, which will be published in full in the Sunday Times at the weekend. Media commentator Roy Greenslade of the Guardian has bemoaned the ruling, however, saying that while he regretted the insult, he would rather that writers maintained the right to offend. Balding has been in a civil partnership to BBC Radio 4 newsreader Alice Arnold for four years. Email “UK regulator upholds Balding sexuality slur complaint”. Feedback on “UK regulator upholds Balding sexuality slur complaint”.